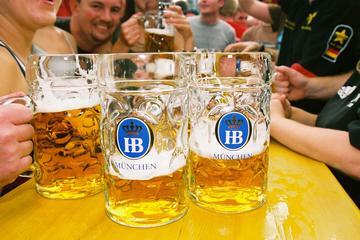 When is Oktoberfest in Munich? It's in September!! 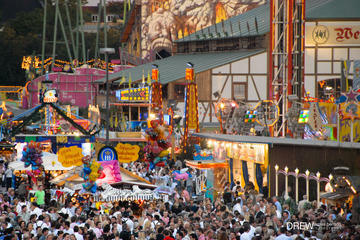 Home German Holidays and Festivals Festivals Oktoberfest When is Oktoberfest in Munich? Germans are notoriously precise with their speech… after all, this is the language that gave us words like Schwangerschaftverhütungsmittel (Pregnancy Preventing Remedy) and and Dudelsack (A bad that makes a doodleing sound aka. Bagpipes)… so it’s incredibly confusing to so many people OUTSIDE Germany that Oktoberfest does not start in October. So, when is Oktoberfest in Munich? In September. And it starts with the tapping of a keg and a mighty O’Zapft Is! In 2018 Oktoberfest in Munich begins on September 22 at noon. The festival will end this year on October 7. It turns out, dating Oktoberfest is a bit like putting a date on Easter… it slides with the Sundays. The official rule is that Oktoberfest begins on a Saturday in September (more on why in a minute), runs at least 16 days, and ends on the first Sunday of October OR October 3rd (German Unity Day), whichever comes first. So, why is it called Oktoberfest when it happens primarily in September?? Oktoberfest started out as a wedding party. (Who here watches those wedding shows on the cable channels? You think those girls who spend $40,000 for glitter on the tablecloths are a big deal? Think about it… this wedding party has gone on for over 200 YEARS!) You see, on October 12, 1810, Crown Prince Ludwig I (not the Neuschwanstein King) married Princess Therese of Saxony-Hildburghausen. All the citizens of Munich were invited to attend the festivities on the fields in front of the city gates, which were renamed the Theresienwiese to honor the bride. Everyone had SO MUCH FUN that they decided to do it again in 1811. And again the next year…. After a while though, people started thinking that October in Germany is just a little bit cold for an outdoor party. And, instead of cancelling, they just shifted it back to September, and carried on. At 10:45 on the Opening day of Oktoberfest, a Grand Parade sets off from the Herzog-Spital-Straße (in front of the Schottenhammel Restaurant), led by the Münchner Kindl (Munich child). 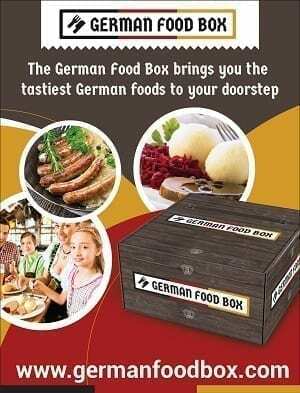 It’s made up of 6 Horse drawn wagons from the 6 Official Breweries, 14 carriages that hold the “Landlords” of the Bier Tents, landlords and officials from smaller tents, and then come the Bands and Tracht groups. The current mayor of Munich, pounds a tap into the first Keg… then declares O’Zapft Is! (The Keg is tapped). 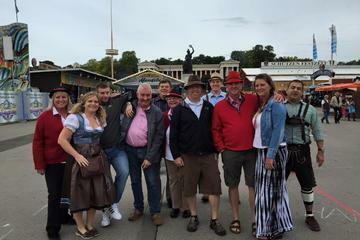 And Oktoberfest is officially underway…..
Want to avoid the fuss of getting into a tent yourself? Let one of these Tour Companies work it out for you. previous What is Oktoberfest Bier? And what makes it Special? next All About Oktoberfest -Oktoberfest History, Traditions, Food and More! What is Oktoberfest Bier? And what makes it Special? Gingerbread Hearts to Buy -German Heart Cookies for your Schatzi! was nice in and before the 60th but after that time it became out of proportion. was nice to the 60th after I found it overdone.